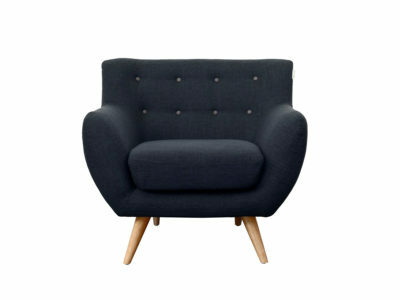 The 6ixty armchair range was inspired in the classic mid-century design. We adapted the sofa to the Australian market adding a modern range of colours to give this beloved classic a fresh new look. 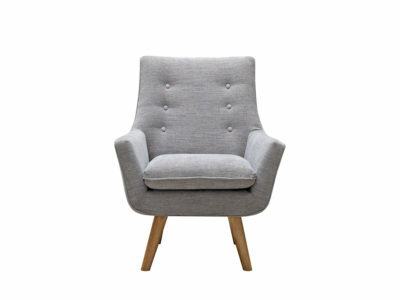 This very comfortable armchair will become the perfect place to relax and have a great time with friends and family. 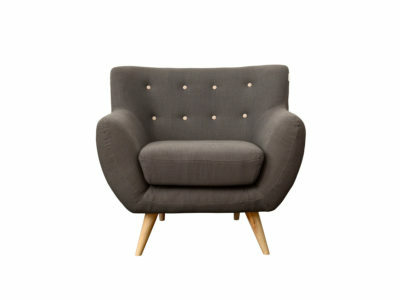 The 6ixty armchair range was inspired in the classic mid-century design. We adapted the sofa to the Australian market adding a modern range of colours to give this beloved classic a fresh new look. 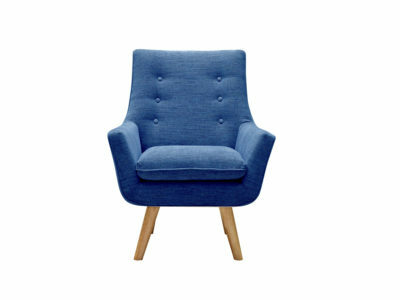 This very comfortable armchair will become the perfect place to relax and have a great time with friends and family. 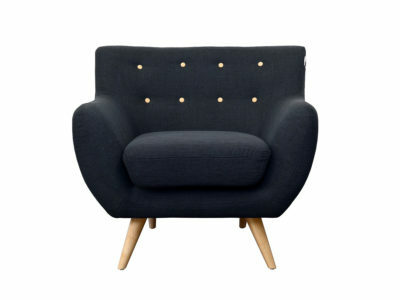 This 6ixty armchair is an Special Edition that has contrasting yellow buttons that will add joy to any space. 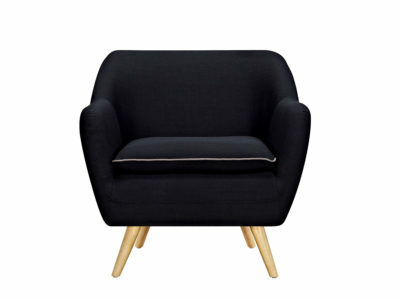 By far the most comfortable armchair in the market, the Como chair has excellent ergonomic proportions, that will let you relax in a luxurious and comfortable seat. The Como’s high-quality frame makes it perfect for both domestic and commercial applications. Bedroom, living room, reception areas, and break out areas will all benefit from the Como’s style, comfort and durability. 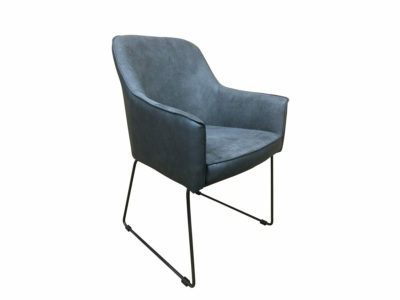 6ixty designed the Luxe Armchair range inspired in the classical Mid-century sofas. Its ergonomically designed frame ensures comfort can be achieved without bulky and overbearing cushioning, emphasising our less is more philosophy. 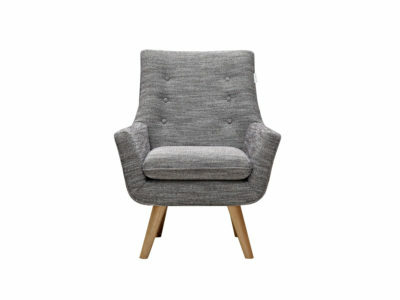 An elegant and compact silhouette makes this range ideal for both homes and offices, no matter what size the space. 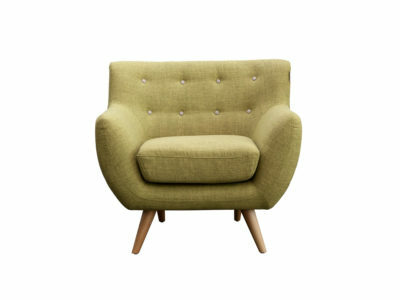 Our elegant interpretation of this design gives this mid-century classic a unique Australian flair. 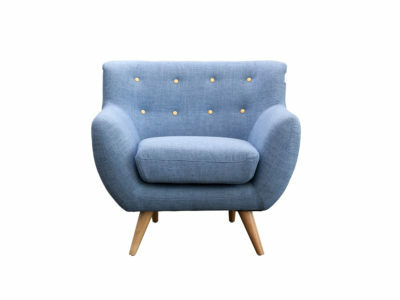 This very comfortable Armchair will become the perfect place to relax and have a great time with friends and family.